If your needs call for a tube auger that is designed to withstand the use and abuse of a busy operation, look to CMC. The Tube Augers are available in 8”, 10”, and 13” diameters. The intake and discharge sections are 5’ long with 5’ and 10’ extension sections. CMC has Power Heads in several different configurations to meet your specific bin unload requirements. Horizontal power heads are available in 6”, 7”, 8″, and 10” sizes. They are single or double direct belt driven depending on the unit. Kit options are available. 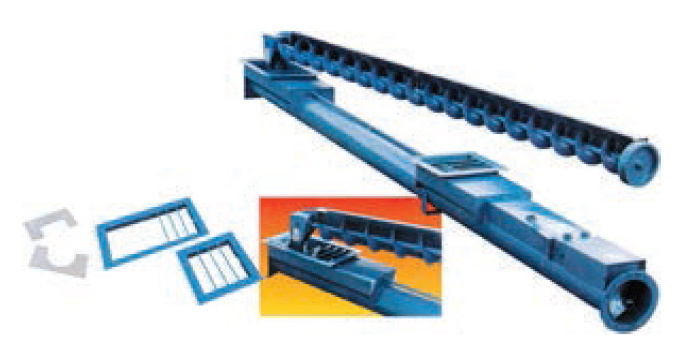 Designed for use with inclined unloading tubes, or where there is sufficient clearance under the tube for other conveyors. 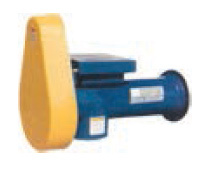 Our vertical power heads make it easier to discharge directly into a truck, trailer, or mill. This power head needs only one drive to run both the vertical and under-bin auger. The drive is mounted to a right angle, oil bath gearbox. It can be powered by either a PTO unit or electric motor. Double flighting on the intake auger. Kit options are available. 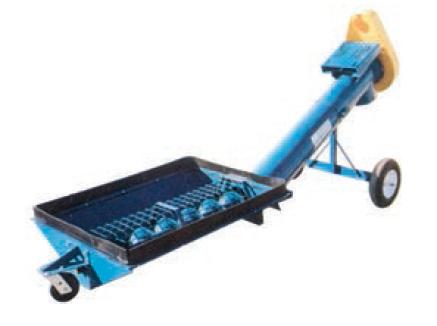 Designed to be used in situations where ground clearance is not sufficient for feeding into other conveyors.The 25 degree incline can be used on bins up to 60′ diameter. Available in 6″ (horizontal) to 6″ (incline); 6″ to 8″; 7″ to 8″; 8″ to 10″; or 10″ to 13″. All inclines have a 2 or 3 belt drive and include an adjustable support stand. Wheel kit option available to make unit move from bin to bin. Designed for smooth, easy operation, the power sweep helps clean your bins quickly and safely without shoveling. They are engineered for permanent installation in bins with controls mounted externally for additional safety. 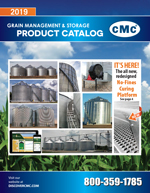 Available in 5” and 7” models to fit 18’ through 48’ diameter bins. Features include Fiber Drive Wheel, Quick-Attach Motor Mount, and Formed Backboard as standard equipment. Options include Jack-shaft Reduction Kits, Hydraulic Drives and Sweep Extensions. This sweep is designed to carry in and out of multiple bins. 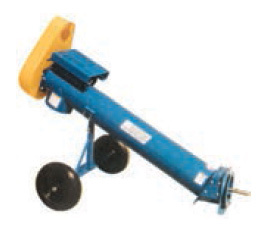 Labor saving power sweeps are available in 10” models to fit 18-60 ft. diameter bins. The sweep is complete with an assembled unit which includes the U-trough, rack and pinion controls that operate the slide gates, unload screws, hopper flanges, and the sweep assembly, including a standard wheel end drive. This system is driven by a single motor from outside the bin. Power is transmitted through the heavy duty unload screw and cast iron gearbox system. The top gear box has a 1.5:1 reduction to reduce the sweep screw speed. One lever on the outside of the bin engages and disengages the sweep. No need to enter the bin.